The District of Puri has been named after its head quarters, Puri. According to Cunningham, the ancient name of this town was Charitra, mentioned by the Chinese piligrim Hiuen Tsang as Che-li-ta-lo. But the restoration of the word Che-li-ta-lo as Charitra and its identification with the town of Puri are open to doubt. The importance of the town as a seat of Vaisnavism increased when Chodaganga Deva constructed the temple of Purusottama Jagannath and installed the images of the deities. Thereafter, it became famous as the abode of Purusottama and was popularly called Purusottama Kshetra. Purusottama name was applied to this town from the drama Anargharaghava Natakam attributed to cir. 9th century A.D. In the Nagari Plate of Anangabhima III of the Saka year 1151-52, i.e., 1229-30 A.D., the place is called Purusottama Kshetra. This name in the form of Purusottama Chhatar or only in the form Chhatar was used by the Mughals, the Marathas as well as the early British rulers in their official records. Even in Yoginitantra and Kalikapurana, the city is referred to as Purusottam. Puri region was also known as Utkal. The name Purusottama Kshetra was also for sometime known as Purusottama Puri and as the word Purusottama Kshetra was contracted into Kshetra or Chhatra, so also Purusottama Puri was expressed in the contracted form, Puri. In fact, in many early British records this town is known by the name “Pooree”. In modern times, Puri has become the most popular name amongst all other names of this town. Under Mughal Rule (1592-1751), Odisha for the purpose of revenue administration was divided into three circars, namely Jaleswar, Bhadrak and Kataka, each of which under the Mughals was subdivided into Bishis. Puri formed a part of Kataka circar. After their occupation of Odisha in 1751, the Marathas brought about some changes in the revenue divisions of the province. They divided Odisha, which then extended from the river Suvarnarekha in the North to the lake Chilika in the South, into four Chakalas viz. Pipli, Kataka, Soro and Balasore. The Chakala of Pipli comprised major portions of the modern District of Puri. The Chakalas were divided into Parganas and again into Mahals or Taluqs. The conquest of Odisha by the British in 1803 set fourth great changes in revenue divisions and political relations. In June 1804, the province was divided into two divisions, namely the Northern and Southern Divisions, with the river Mahanadi forming the boundary. Robert Ker and Charles Groeme were appointed as Judge, Magistrate and Collector in Northern and Southern Divisions respectively. By 1805 both divisions were amalgamated and G. Webb succeeded Groene as Collector and Robert Ker became the Judge and Magistrate of the whole province. As the Raja of Khurdha revolted the 1804, he was arrested and was placed in confinement in the Fort of Barabati at Cuttack. His territory was confiscated and the Raja was subsequently released. In 1807 he was permitted to live at Balisahi in the town of Puri and functioned as superintendent of the temple of Jagannath. Puri was the capital of the province of Odisha and the headquarters of the Collector till 1816. In 1806 there was a proposal to move the head quarters to Jajpur, but it didn’t get Governments’ sanction. In August 1814, a part of the Collector’s establishment was removed to Cuttack, which was again brought back to Puri in December. By 1916 the head quarter was permanently shifted to Cuttack, which was the head quarter during the Mughals and Marathas. By 1818, the office of the Commissioner was established and Robert Ker became the first Commissioner. From 1813 to 1819, there was a joint Magistrate at Puri with the jurisdiction over the thanas of Pipli, Gop, Hariharpur and Kiran. By 1819 this office was abolished and the joint magistrate of Khurdha was given the charge of the above thanas. On 11th February 1822, the office of the joint magistrate of Khurdha was abolished and Odisha was again divided into two divisions with the river Baitarani as the dividing line. Willkinson, the collector of Cuttack, was placed in charge of Cuttack and Khurdha and Ricketts with powers of a collector was given the charge of Balasore and Bhadrak. Finally on 23rd October 1828, the province was divided into three Districts, namely Balasore, Cuttack and Jagannath, which was later known as Puri. Regulation IV of 1821 had provided that the power of a magistrate and collector might be vested in one and the same person and accordingly one magistrate and collector was appointed in each of the above three Districts. H. Ricketts, R. Hunter and W. Willkinson were the first magistrate and collectors of Balasore, Cuttack and Puri Districts respectively. In 1912, the new province of Bihar and Odisha was formed and subsequently Odisha became a separate province in 1936. After integration with Odisha on 1st January 1948, of the feudatory states of Nayagarh, Daspalla, Khandapara and Ranapur with a total area of 3941 sq. km., a separate sub-division comprising these ex-states was added to Puri District with its headquarters at Nayagarh. 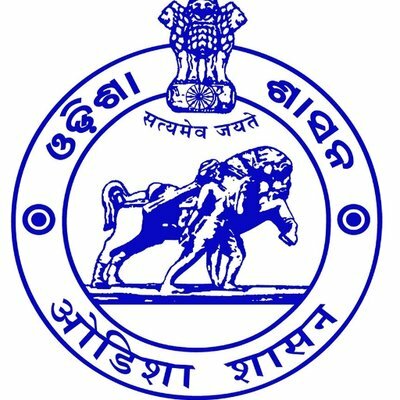 The fourth sub-division of Bhubaneswar was established on 26th January 1959. The old Puri District consisted of four sub-divisions i.e. Puri Sadar, Khurdha, Bhubaneswar and Nayagarh. Puri Sadar sub-division consisted of four Tahasils i.e. 1) Krushna Prasad 2) Sadar 3) Pipili and 4) Nimapara. Again by the year 1995, Puri District was divided into 3 Districts i.e. Nayagarh District comprising of Nayagarh sub-division. Khurda District comprising of Khurda and Bhubaneswar sub-divisions. Puri District comprising of Puri Sadar sub-division only.